Left to right: (a) Three-quarter view of the locomotive. 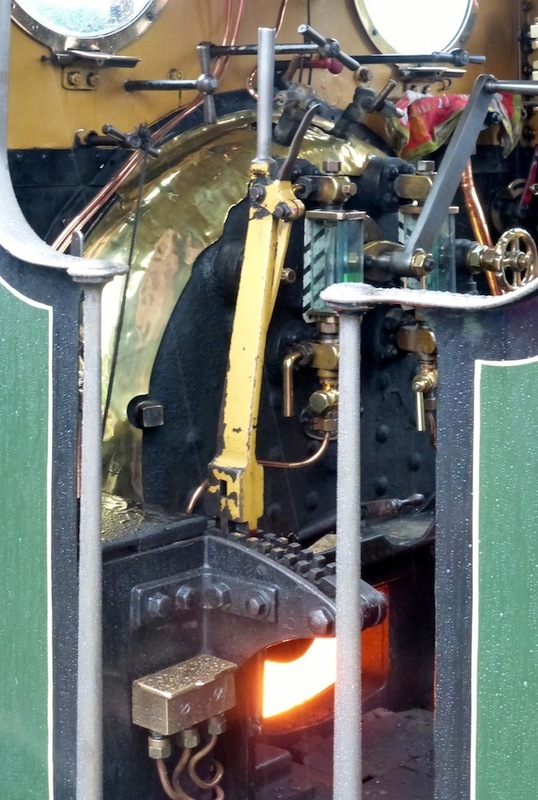 (b) View into the cab, with the fire box and, further up, the water gauge. (c) Another view of the cab, with one of the crew. The locomotive was first based in Battersea as No. 46 Newington, but that was only the beginning of her story. She went next to the London and South Western Railway (LSWR) in 1903, for the Lyme Regis branch line, not coming to the Isle of Wight until 1913. 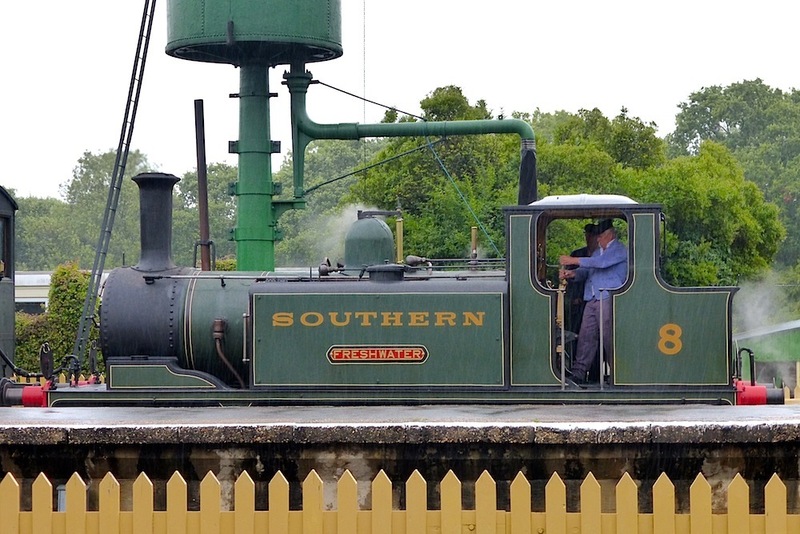 At that point, the locomotive had been hired by the Freshwater, Yarmouth and Newport Railway, and is thought to have arrived there on 25 June along with seven carriages (see "Aix [Terrier] Class 0-6-02"). 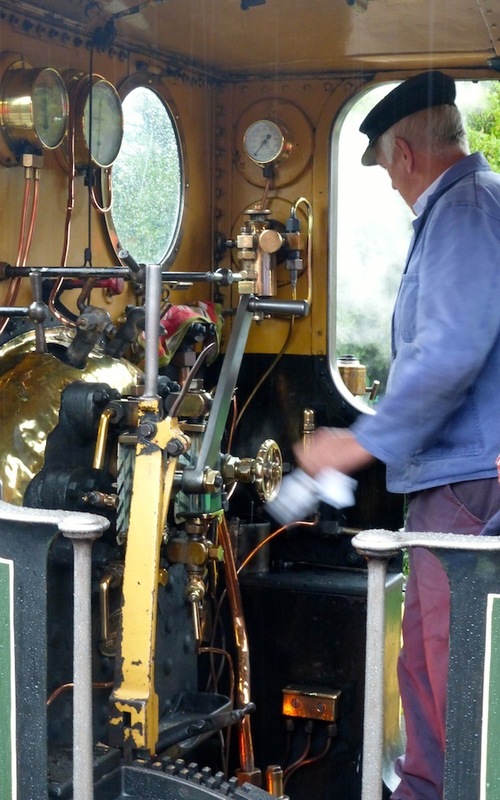 More views of the locomotive, showing, for example: (a) The buffers. (b) Exterior of driver's cabin. (c) The side rod and drive wheels. 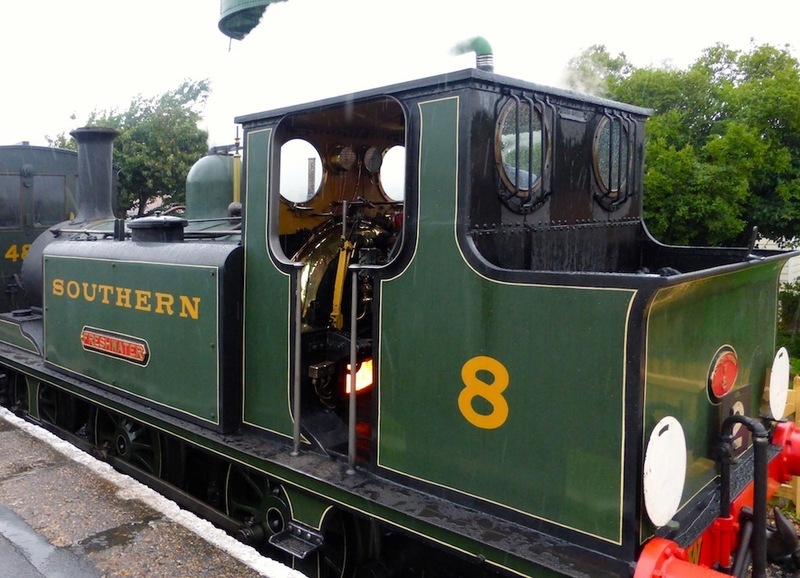 In 1917 the locomotive's purchase was finalised by what was now the Southern Railway, and got her new green livery, and, in keeping with other locomotives working on the island, a local name — that of the popular village of Freshwater at the western point of the island where (for example) the Poet Laureate Tennyson and the pioneering photographer Julia Cameron had once lived. Originally no. 2, Freshwater now became W8. Freshwater would have another protracted spell on the mainland from May 1949, including one stint of standing outside a pub, and only returned to the Isle of Wight in 1979. After that, a "rapid overhaul culminated in a triumphant return to steam on 21 June 1981" ("Aix [Terrier] Class"). 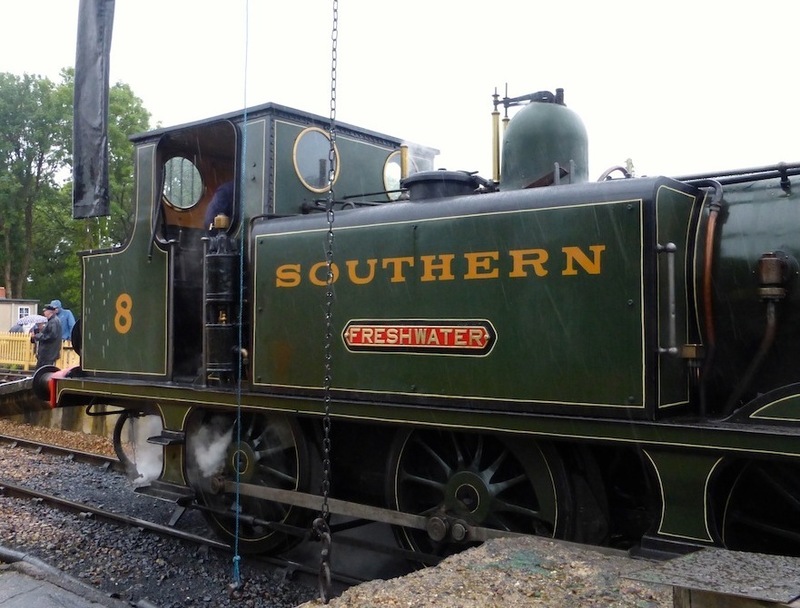 Now she runs on the short (five and a half mile) heritage line between Smallbrook Junction and Wootton, either side of the depot, workshops and discovery centre at Havenstreet. 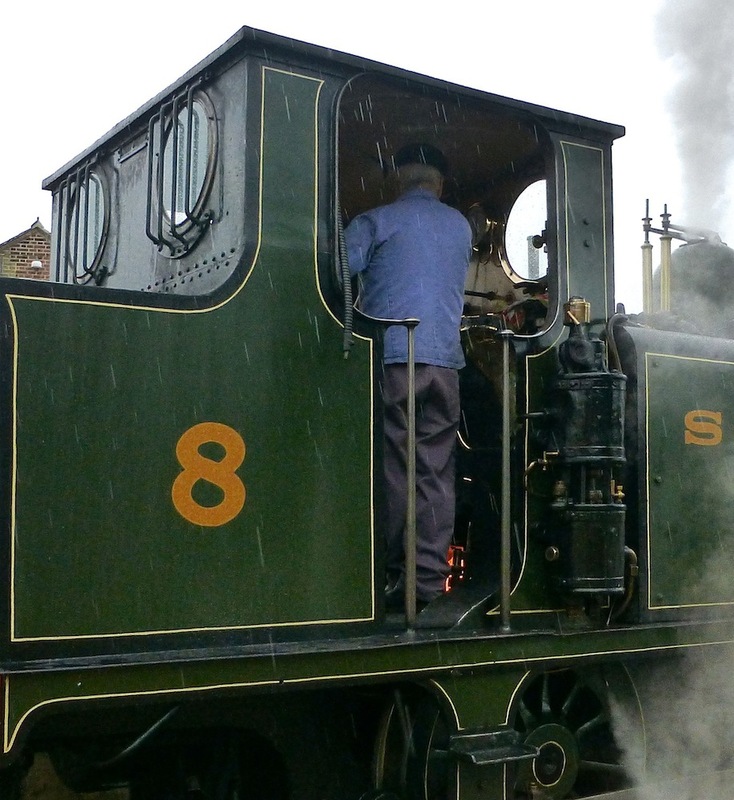 She has had a new boiler fitted, but retains her Victorian appearance, and continues to delight train enthusiasts to this day. Photographs, text and formatting by Jacqueline Banerjee. You may use these images without prior permission for any scholarly or educational purpose as long as you (1) credit the photographer and (2) link your document to this URL in a web document or cite the Victorian Web in a print one. "Aix (Terrier) Class 0-6-02 No. W8 Freshwater." Isle of Wight Steam Railway. Web. 6 August 2017. Carpenter, George W., rev. "Stroudley, William (1833–1889)." R. C. Cox. Oxford Dictionary of National Biography. Online ed. Web. 6 August 2017. 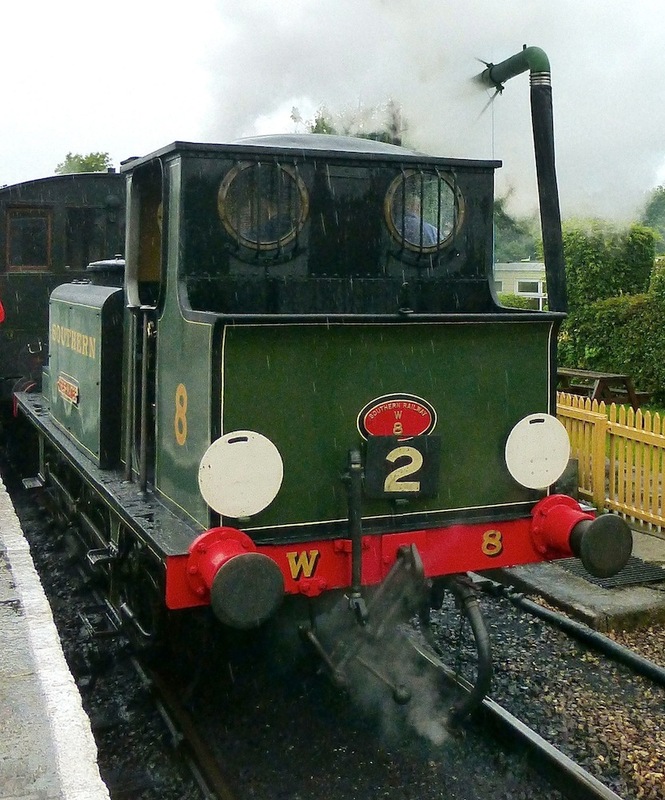 "Isle of Wight Steam Railway: Timetable and Guide." Havenstreet, Isle of Wight, 2017. "William Stroudley." Grace's Guide. Web. 6 August 2017.